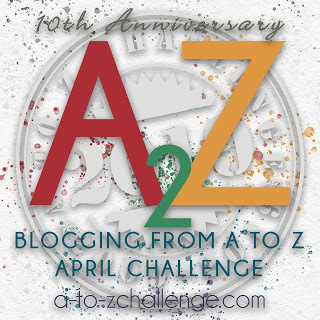 My theme for the A to Z Blog Challenge @AprilA2Z during the month of April is ~ My Life Is My Masterpiece ~ Lessons Learned. For 26 Days (with Sundays off) I’ll be posting a word that begins with each letter of the alphabet, and that fits my journey and lessons learned along the way. My About Page gives me the focus. It’s going to be fun, and challenging! I hope you’ll stick with me as I strive to meet my goal! !